Caneel Bay opened on December 1, 1956 in conjunction with the Virgin Islands National Park. Right from the start the two symbolized the best of St. John. 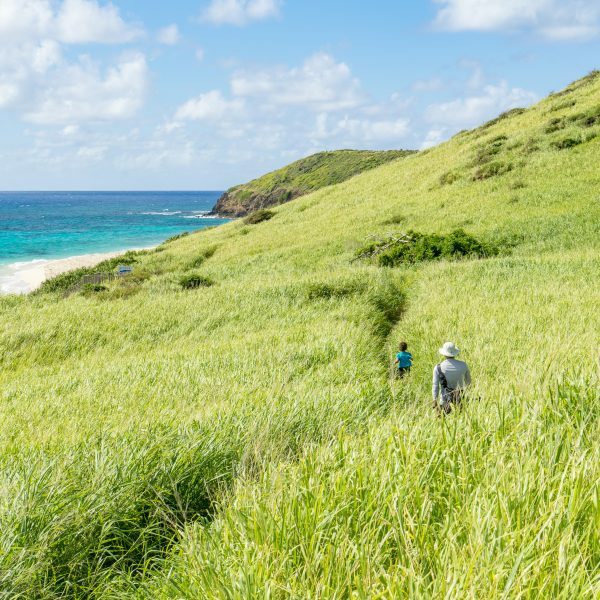 The Jack and Isaac Bays Preserve on St. Croix has never looked so alive and green. Brilliant waters lining secluded white sand beaches. You may never see nature more magnificently in the midst of renewal. It's a little strange seeing it this way... Orient Beach, St. Martin, completely devoid of any and all signs of beachy fun accoutrements. The healing inherent in this particular image extends beyond the usual beachy comforts. What you see is St. John, the island itself, healing. As most any Granny or Tanti throughout our islands would surely confirm, you can always expect a bit of a baby boom nine months after a hurricane hits. There's something wrong with this picture of Soufriere, the seaside town in southern Dominica. Anyone who's ever visited would spot the problem instantly.